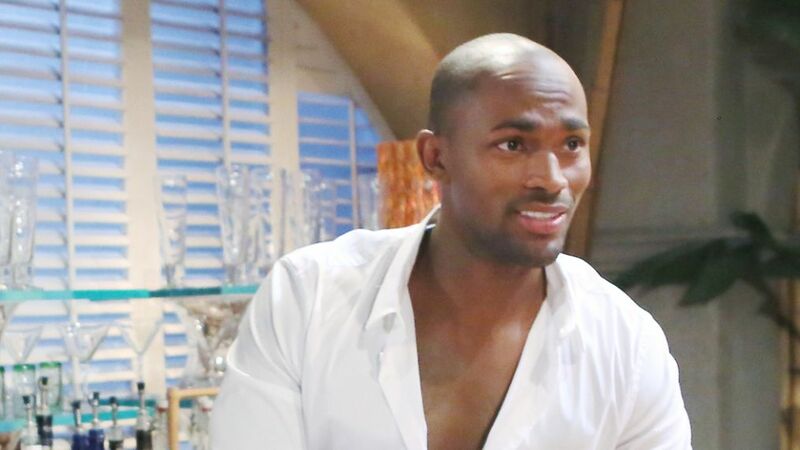 The producers at The Bold and the Beautiful just gave their characters a reason to get really thirsty! Keith Carlos, a former wide-receiver for the Philadelphia Eagles and the New York Giants, has been hired to play Danny, a bartender at the Bikini Beach club, the half-hour soap’s favorite summer watering hole. In addition to having had a career in the NFL, Carlos is also the first male winner of America’s Next Top Model. His acting credits include the TV series Like Family and the movie Chocolate City: Vegas. The athlete/actor/model is set to make his B&B debut on Friday, June 15. That’s also the day that marks the (very) welcome return of Courtney Hope as Sally. Watch for Carlos to share scenes with both her and Wyatt (Darin Brooks). TV Insider hears that Carlos’ role is a recurring one and he’ll be seen in at least three episodes.